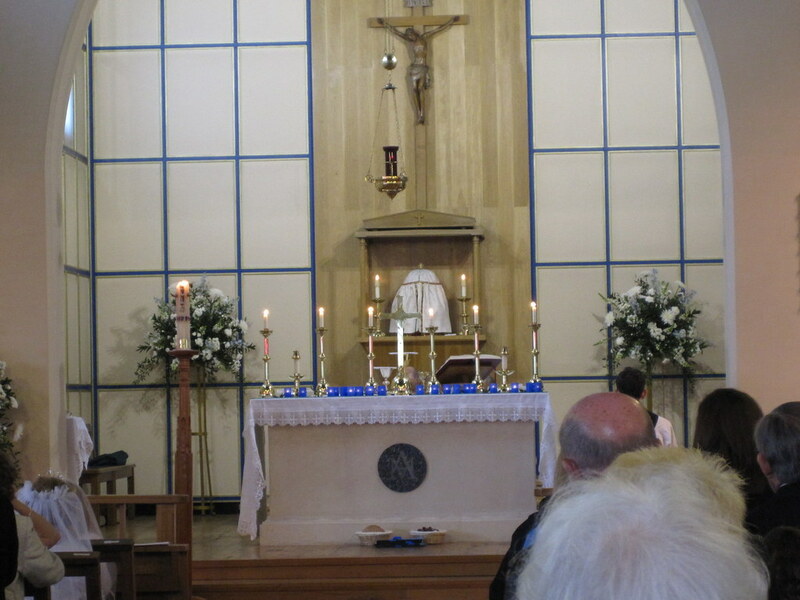 Last week we had one child make his First Holy Communion at the Missa Cantata - for some reason I don't seem to have uploaded the photos I took... I shall get that done shortly. 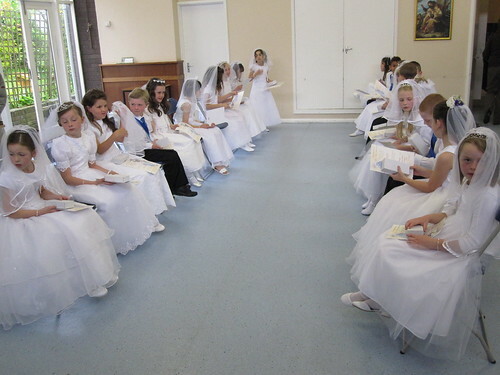 Today it was the first of our dedicated First Holy Communion Masses. 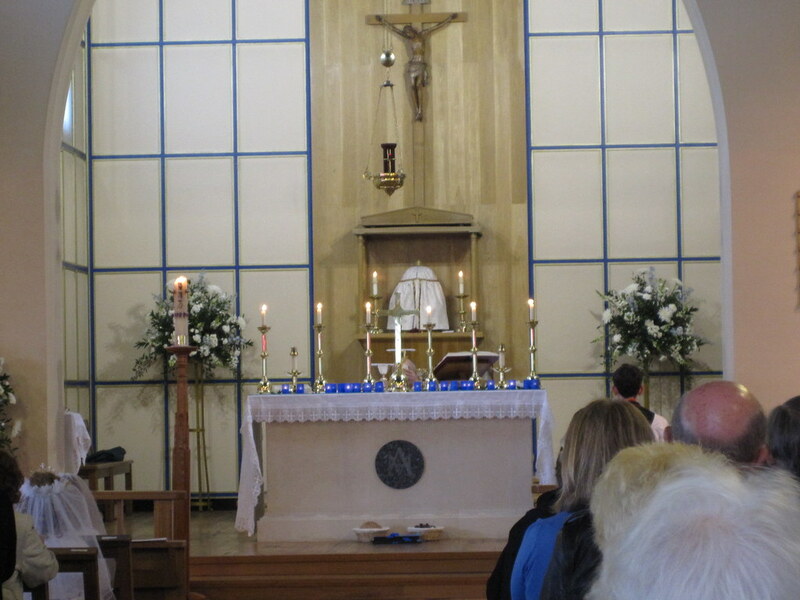 I was taking photos for the Parish website, but, because the children were right at the front, and their families were sitting behind, I sat myself right at the back where I wouldn't be a distraction. I shall try and zoom in on some of the photos later, but I just wanted to get the set up as quickly as possible on Flickr. The set is open access, and on a Creative Commons license, so anyone can download it and use it, as long as they credit me for it and don't use it for commercial purposes. 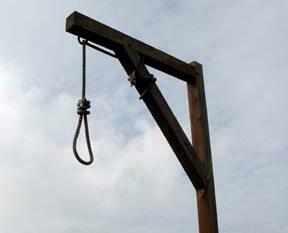 ...the result was a hung parliament. When I suggested, to my fellow drinkers in the parish club last night, that Gordon Brown might be prepared to do a bit of horse-trading in order to keep his hands on the keys of Number 10, I was told that Her Majesty wouldn't ask the leader of the losing party to remain as Prime Minister. ...only this time it's important! 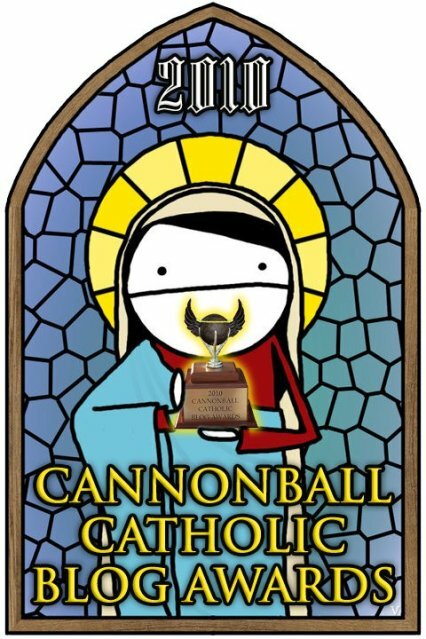 The 2010 Cannonball Catholic Blog Awards are up and running. I had nominated a few blogs, but hadn't expected to be nominated myself, but it seems that His Holiness Pope Zephyrinus (who comments, but doesn't have his own blog) thought I should be up for Best Potpourri of Popery and Terry (Idle Speculations) nominated me for Best Church Militant blog. If you want to know about your own constituency, there is a useful site which gives information on all of the candidates, as well as a description of the constituencies - twitch of the mantilla to James Preece, who has a thoughtful post on how to choose where to put one's mark. The lovely Bones has a breakdown of the policies of the main parties - and ends up with a heartfelt prayer to St. Thomas More. 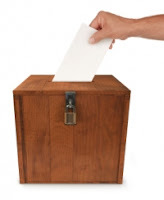 SPUC has a very useful archive of MPs' voting records, though, for this election they encourage voters to contact their office directly to find out about MPs and candidates. We have a duty to vote - something pointed out in the Catechism of the Catholic Church and Gaudium et Spes. If it truly impossible to vote for any of the candidates in all conscience, then there is always the option of spoiling the ballot paper - at least it shows that it's not apathy or sloth which prevents us from voting. Keeping up with the Blogosphere can be a time-consuming process. I find that Google Reader is the best way of finding out which blogs are being updated without the hassle of having to check them all individually. This has the disadvantage that I miss out on many blogs, because I'm only checking the ones I already know. Occasionally I will stumble upon a blog which is new to me when the blogger comments on one of my posts, and sometimes it happens if I follow up an interesting-looking link on other blogs. Every now and then, however, I go out hunting: I will scour my SiteMeter stats and Google Blog Search in order to discover where people are coming from and who is linking back to me. So, to start off, we have Gregory the Eremite and his blog From the Desert. Enjoy! 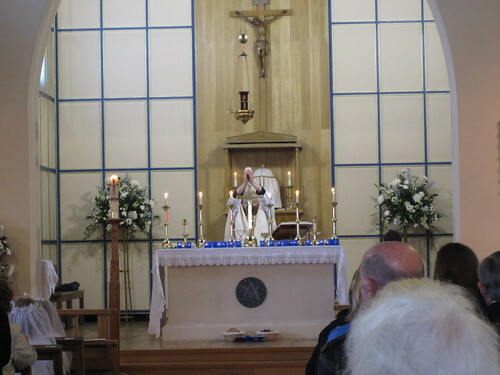 John Smeaton has a post on his blog alerting us to the nine-month tour of England & Wales of a replica of the image of Our Lady of Guadalupe, patroness of the unborn. 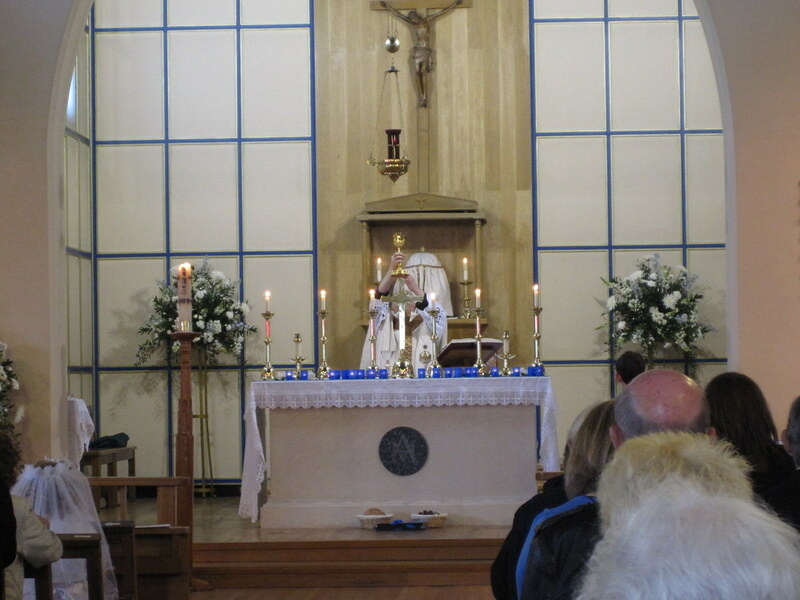 Edmund Adamus, Director of the Department of Pastoral Affairs in the Diocese of Westminster, is co-ordinating the nine-month novena tour which will conclude on 12th December 2010, the feast of Our Lady of Guadalupe. The image is one of 220 digitally reproduced images which were commissioned in 2004 by Cardinal Rivera Carrera. 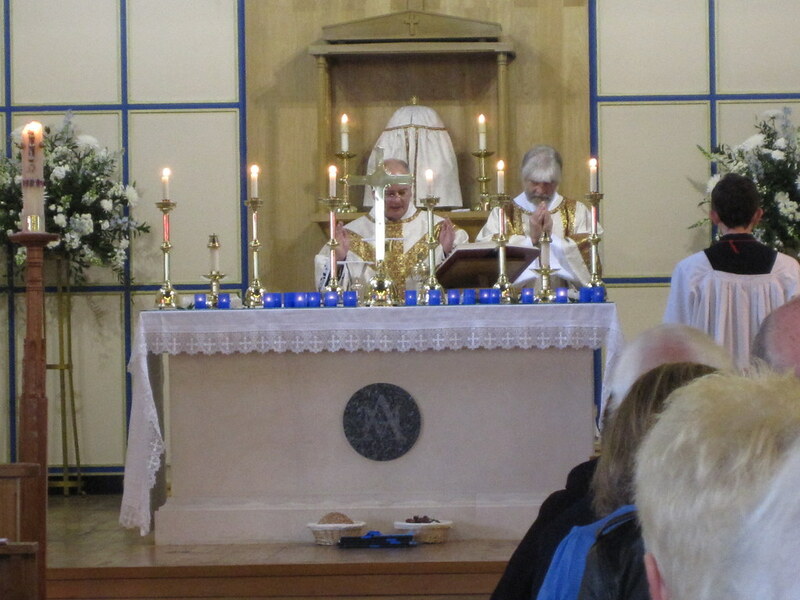 This Saturday, 8th May, the image is going to St. John's Cathedral, Portsmouth. 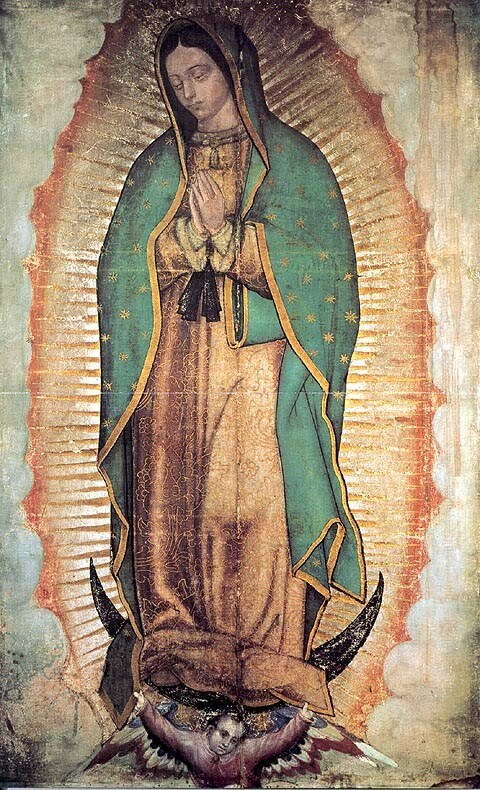 I've had a devotion to Our Lady of Guadalupe ever since reading about the apparitions and the miraculous image on the tilma. I sincerely hope that the image will come to Southwark at some time during the tour... and that there will be better publicity for it. I'd have loved to see it at Westminster Cathedral if I'd known about it. 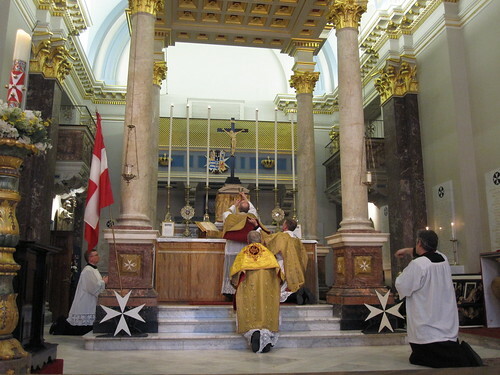 These two video clips are from the Society of St. Catherine of Siena's Solemn High Mass at the Conventual Chapel of the Knights of Malta. I was pretty impressed by the video quality - taken just on my little Canon IXUS 100, the same camera I use for my photos. The Oratory School Choir were singing the Byrd Three Part Mass (according to His Hermeneuticalness...) I'd never heard it before, and it sent shivers down my spine! I didn't want to video the Consecration - I wanted still shots for that - but I did manage to get the Sanctus before and after... Enjoy! You may have gathered, by now, that I love taking photos. I seem to take quite good ones - more by luck than judgement. 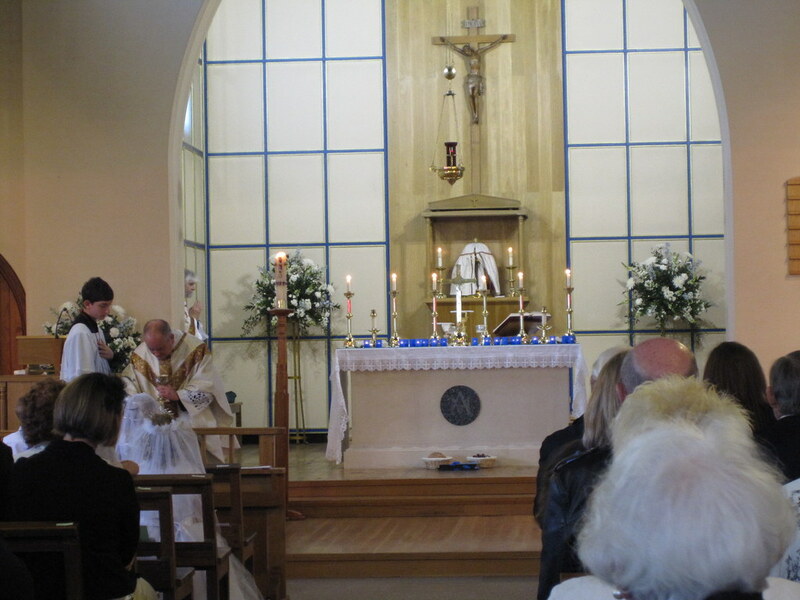 It helps that I love going to churches and the traditional Latin Mass - the Extraordinary Form is just so photogenic! I have been told that the best way to share photos is via a Flickr account. I have been told this on several occasions... and I have finally gotten around to setting one up. I'm still trying to figure out the difference between galleries, sets, collections and whatnots... I suspect I'll get there eventually. In the meantime, you can see my photos HERE.